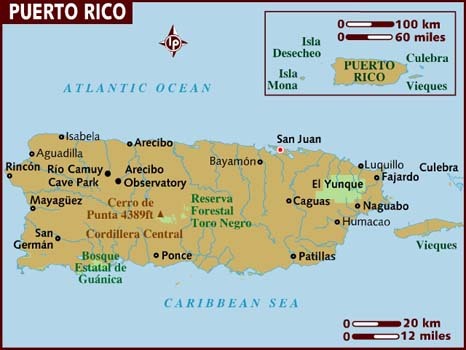 Puerto Rico voted yesterday to become the 51st state. Barack Obama said he would honor their vote. Voters in Puerto Rico have supported a non-binding referendum to become a full US state. The measure will require approval from the US Congress, but President Barack Obama has said he will respect the vote. The island is currently a US territory, which uses the dollar and whose citizens travel on US passports. But it does not return senators to the US Congress and is represented in Washington by a non-voting delegate. Almost 80% of the island’s electorate took part in the referendum, the fourth in the past 45 years. With almost all the votes counted, almost 54% voted to change the island’s relationship with the US. …A young voter in the capital San Juan, Jerome Lefebre, said: “Puerto Rico has to be a state. There is no other option. The Democrats will love to hear that.